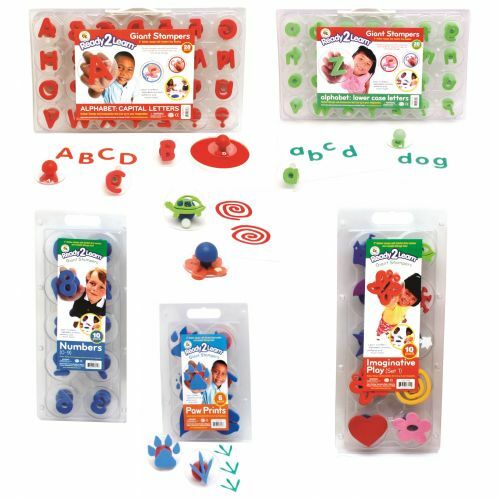 Ready2Learn Giant Stampers are a great way to stamp out your own posters, wrapping paper and signs. Ideal for use with paint or ink pads, each foam stamp is 3" in diameter and mounted on a clear, see-through top for easy, exact placement. Stamps have a directional arrow for perfect alignment. Colour-coded for easy sorting and storage. Set of 28. Grades PreK+.